Barcelona will play Real Madrid in the most awaited match known as the El Clasico 2016, this year. It is going to be a game of La Liga tournament. Generally, these two teams face each other twice a year in all tournaments combined. It is scheduled to be played on December 3 at 8:45 pm IST at Camp Nou, Barcelona. The arch rivals will fight each other in this mouth-watering fixture of the year. Real Madrid’s manager Zinedine Zidane has reached this point with his team after an okay victory against Sporting Gijon. On the other hand, The side of Luis Enrique has reached here after an unsatisfactory draw of 1-1 against Real Sociedad. The match almost slipped from their hands. Barcelona, the Spanish champions started on a bright note but suffered goalscorer form. The European champions RMA got better from them and as of now, they are 6 points ahead of Barca in the La Liga points table for the season. All the teams in the tournament have already played 13 games each so far. The FCB coach Enrique said that the upcoming match is going to be a must win as they intend to stay in the competition to win the La Liga title for this session ahead of the winter break. So far, the side of Zidane remains unbeaten in the league. They have played 13 matches and won 10 times while 3 were drawn. So, it is quite clear that Frenchman is certainly not looking forward to down the already established stats. Another major highlight of this match would be witnessing Argentine Lionel Messi against Portuguese Cristiano Ronaldo at the Nou Camp. It will be one of the most exciting moments for the football fans all around the world. The duo is considered to be the finest players in the game ever had. They share nine Ballon d’Or titles between them. Moreover, they are coming at this point having a good run of form for both country and club. Messi got a brilliant start, and he continued with the same pace for his national team in the world cup qualifiers. On the other hand, Ronaldo got a slow start but picked up very well. In the last two games, he has scored five goals. Argentine and his Uruguayan teammate Luis Suarez is the top goal scorer with ten goals. FCB has no new injury issues. Lionel Messi, Neymar, and Luis Suarez are all fit and ready to play. Club skipper Andres Iniesta has returned and playing in training. He suffered knee ligament damage against Valencia and was on rest for six weeks at least. Let’s see if the coach will take a risk by making his play for full ninety minutes. Turkis Arda Turan was ruled out of the last game against Sociedad as he had a fever. He is fine now and available for selection. However, defender Samuel Umtiti won’t play due to a hamstring injury which he suffered during the last break. Many starters are out for a long period due to major injuries. Gareth Bale suffered a dislocation of the peroneal tendons in a game against Sporting Lisbon. Thus, he was ruled out for four months at least. Midfielder Toni Kroos will not play due to a broken metatarsal which he got against Leganes. Substitute Alvaro Morata has been effective. Defensive midfielder Casemiro had been out for a substantial time. Now, he returned on the last day of training. Let’s see if Zidane would invite him to field this Saturday. He was a part of the team when RMA won by 6-1 in the Copa del Ray. He is expected to be participating this time too. The USA fans can watch the game live on beIN Sports en Espanyol, fuboTV, beIN SPORTS CONNECT U.S.A., and beIN SPORTS USA. However, the UK audiences will not be able to catch the live updates due to the early timings of the match. The Indian people can watch the el clasico live telecast on Sony Six HD, Sony Six, and Sony ESPN. No one can actually tell what can actually happen in the most tensed ninety minutes at the Nou Camp. Madrid looks stronger on paper because of their current form. However, no one can neglect the potential that a dangerous MSN trio possesses. We predict RMA winning by 3-2. 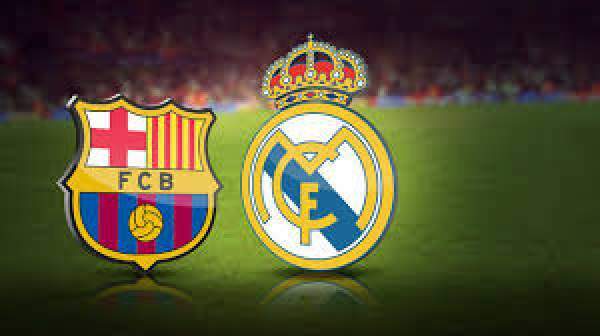 It will be interesting to see if Barcelona will be able to regain their winning momentum by defeating Real Madrid in this match of La Liga or RMA will continue their 32 games unbeaten run. It’s less than 24 hours now. Come back for the FCB vs RMA match result, full video highlights, scorecard, and much more. Stay tuned to The Reporter Times for latest Football updates and more. Don’t forget to share it on social media sites. Next articleWindows 10 Cloud: Hardware Specs Leaked? Microsoft To Take On Google Chromebook OS Soon?